Hundreds of craftsmen gathered together to cross the generations of craftsmanship, the annual event of Taiwan’s craft design industry – “The Dream of 2018 Crafts”, from 12/20 (Thur) to 1/7 (Mon), display in Shin Kong Mitsukoshi Dept. Store Co. Tainan Place 6F Cultural Center. 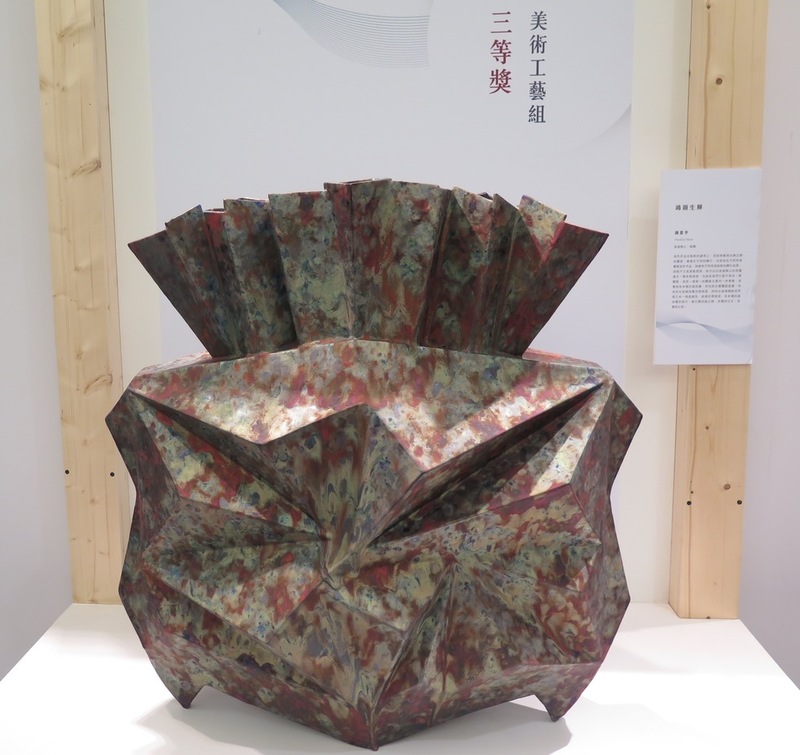 Guided by the Ministry of Culture, the National Taiwan Technology Research and Development Center, the Shin Kong Mitsukoshi Cultural and Cultural Foundation and the Shin Kong Mitsukoshi Department Store jointly sponsored the “2018 Craft Dream”, which is now in its 25th year and is the annual finale of the Taiwanese craft design industry! This year, the theme of the five major exhibition areas , the Taiwan Arts and Crafts “Taiwan Craft Competition” won the award-winning selection of works, and you will experience the inheritance and innovation of Taiwan craftsmanship in person; invite the winner of the annual “National Craft Achievement Award”, Taiwan Craft National Treasure Master-Zhang Xianping, exhibiting his 40 years of creative essence; “Taiwan Fine Arts & Crafts & Yii”, which is manufactured, produced and produced in Taiwan, exhibits 45 excellent evaluation crafts; 2018 Special Project – “New Art No. – Sharing Love” selects 23 craft design brands from Taiwan and teamed up with the “Tide Characters” tour table plan to share with you a hundred pieces of hand-limited and worthy of your life! During the exhibition, another popular dessert shop flash event, a barista, a craft brewer on-site teaching and a number of “funny design lecture halls” will be held for you to experience! Starting from 12/20 (Thu), come to “2018 Craft Dream” to see the exhibition, buy good things, and taste delicious food! 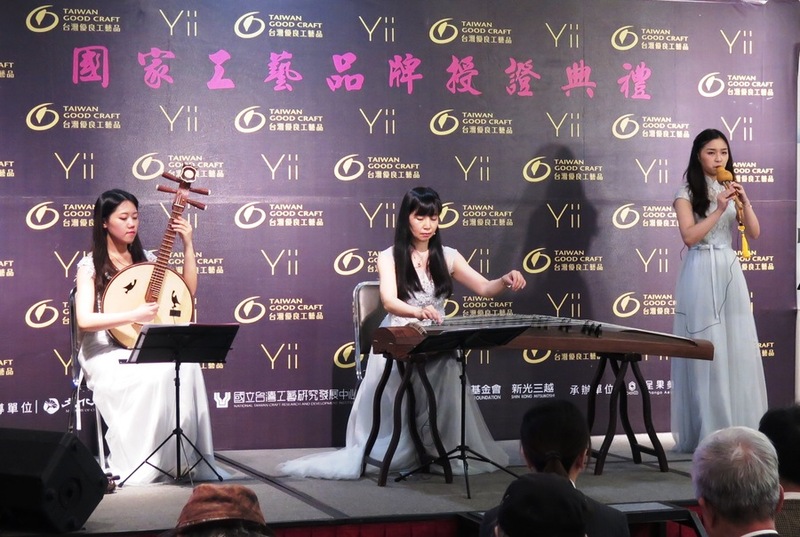 Founded in 2008, Yii Brand Center combines Taiwanese craftsmanship to create cross-domain additional value and dialogue with the international community. It has been leading the international boutique exhibitions in Italy, such as the Milan Triennial Center and Paris, France. The boutique industry opens up brand awareness. Since the Yii brand has been promoted, it has affected the consolidation of Taiwan’s overall process industry supply chain and process. Over the years, brand creation has led the transformation of process design concepts and the improvement of cross-domain integration technology has made Taiwan’s process industry take a great progress forward. This year, Yii added the new force, in order to highlight the brand value and strengthen the anti-counterfeiting function, the company has authorized the use of brand seals through the product center, and produced an “international boutique ID card”. Each work has a unique number and label scan (including brand introduction, Certification history, product descriptions, etc., to ensure that collectors purchase expedients and improve brand value. Through the paste-dyed full-page cherry blossoms printed on the thin silk cotton fabric, plus layer-by-layer dyeing, it can be hung through the double-layer, three-layer and five-layer way, showing the gradual cherry blossom beauty and increasing the space atmosphere. The combination of sheet steel and hemisphere is combined with the ingenious structure to facilitate disassembly. The base is made of Taiwanese wood acacia wood carbonized, the combination of round and show the staunch and soft. The creative image with the mountain ridge line, the bold and degraded design overcomes the limitation of ceramic production, reveals the fine and chic ceramic texture, and turns into a stationery and jewelry storage rack. The length of the line does not miss every small detail, and the simple color matching design is skillful. Show a new unique scene on the table, and also provide consumers with an innovative choice of storage options. The design is based on the lake view of Nanyue Sun Moon Lake. The utensils are outlined by the organic lines of the lake. The craftsman uses porcelain clay, manual grouting and slabs to burn to 850 degrees Celsius. The hand glaze is completed by electric kiln glaze. The matt white glaze gives the work a warm touch, and the edge of the vessel reveals the delicate lines. The bamboo ring is buckled to the body by the unique elasticity and curvature of the bamboo. The work is like a static figure standing in the lake, elegant and comfortable. The charter ceremony was held on December 21 (Fri.) at 2 pm and was held on the 6th floor of the 6th floor of Tainan Place, Shin Kong Mitsukoshi.Certificates and trophies, this selection of certified works shows innovation, design, humanity, and sustainability. The exhibits will be combined with the craftsmanship. 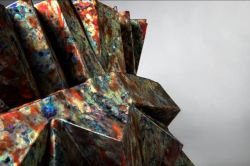 The award-winning works of the Dreams will be touring exhibited. Not only can they be enjoyed but also purchased on site. The Tainan Tour Exhibition will be held on December 20, 2018 to January 7, 2019, Taichung Shin Kong Mitsukoshi will be held from January 10, 2019 to January 21, 2019. Hope those who love Taiwanese crafts can appreciate the innovations in these traditions, keep abreast of the times, make good use of contemporary design, materials, technology, and the new products assimilate into the modern aesthetics, a deeper taste the culture precipitate, let the Taiwan’s craft combine and into the market ,integrate the leisurely craftsmanship into the perfect living space. ★Taiwan’s fine handicrafts & Yii charter ceremony | 2018/12/21 (Fri) 2:00 pm Shin Kong Mitsukoshi Tainan Place 6F, Shin Kong Mitsukoshi Culture and Education Foundation official website (culture.skm.com.tw). ※ Closed on the opening day until 6:00 pm. The “Taiwan Craft Competition” is the annual finale of the craft industry. It has trained many outstanding craftsmen and design talents for Taiwan. The competition is divided into “Art Craft Group” and “Innovative Design Team”. This year, a total of 494 entries have been carefully and rigorously After the primary selection, re-election and final selection, only 65 outstanding works stand out from the competition. 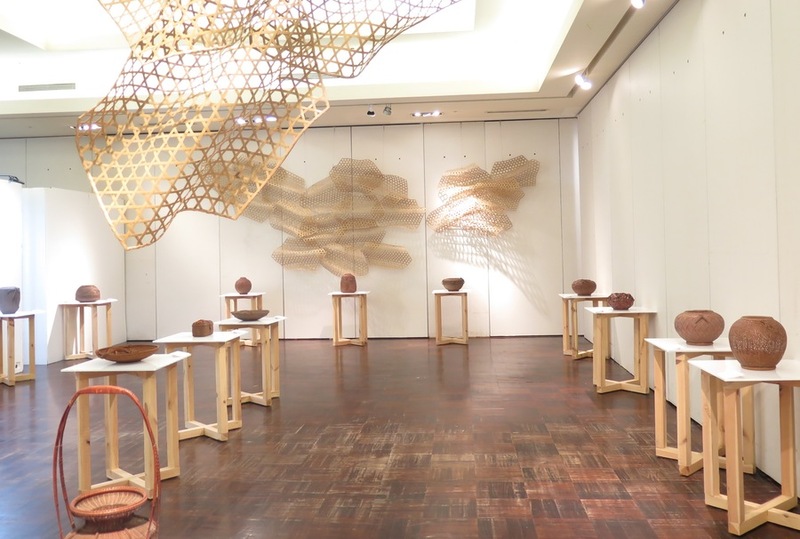 33 pieces of the “Arts and Crafts Group” are selected for the winning entries, allowing the public to explore the craftsmanship of the Taiwanese masters and the 32 pieces that fit the current lifestyle. The “Innovative Design Team” is selected for the winning entries. Welcome to the ceremony. As the angle of view moves to produce different shadows, as in the real space, there are a variety of imaginary and real hints. There are many crosses and comparisons between real and virtual. 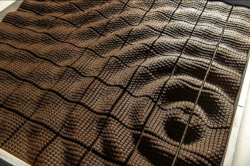 This parametric design of ceramic works reflects the spirit of technology and technology. The use of 3D printing combined with traditional ceramic methods is the perfect combination of contemporary technology and craftsmanship. Through multi-layer glazing and thickening, the kiln is burned to 1260 degrees, and after 20 hours of intense fire quenching, the peacock feathers are drawn and flowed. 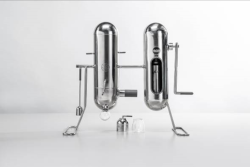 Transforming the traditional “oil shop” oil-pressing method into oil-making equipment that can be placed in the kitchen, making the life of eating oil more transparent and regaining the folk memory of the “oil shop”. 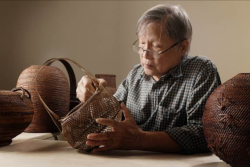 Zhang Xianping has been working in the bamboo and rattan crafts industry for more than 40 years. The family business was originally a weed weaving. After the bamboo and rattan weaving, we started the innovation bureau. In 1990, we won the “National Art Salary Award” from the Ministry of Education. The youngest salary award winner, after three consecutive years, was recognized by the Cultural Construction Fund Management Committee’s “National Craftsmanship Award”. In 2016, he was awarded the ” Important traditional art preserver ” by the Ministry of Culture. Mr. Zhang Xianping’s bamboo creations, deep mean with Chinese humanistic imagery, and original antique smearing techniques, make the bamboo knives look ancient and simple, elegant and meticulous, and extremely precise and meticulous weaving techniques, creating an ancient and solemn beauty. Bamboo weaving is always appreciated by collectors and connoisseurs. 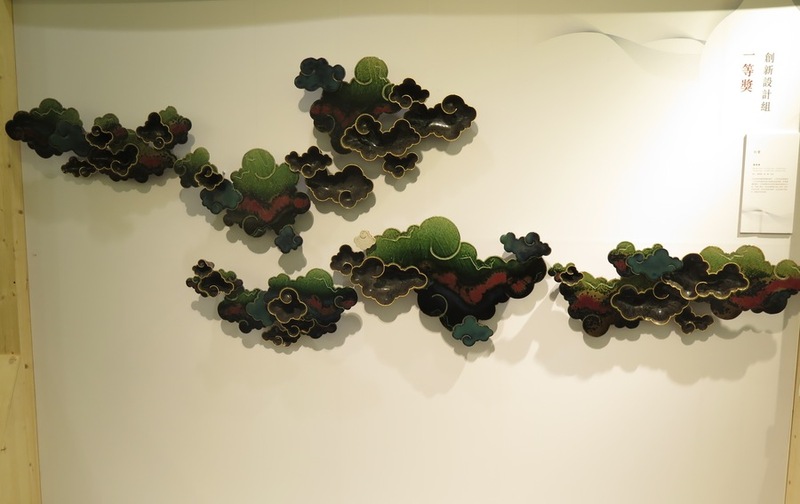 The National Palace Museum also collects his works. He has represented the country exhibited in many countries, and has promoted the bamboo weaving of utensils used by ordinary people to the palace of art. 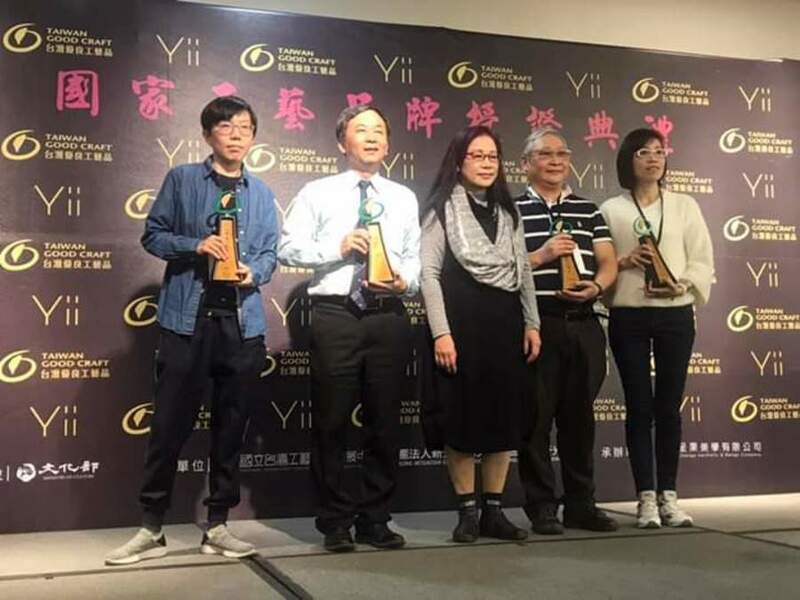 Mr. Zhang Xianping’s awards represent the achievements of the individual in the bamboo and rattan crafts for a long time,also have symbolic indicators for the current cultural policy of Taiwan, and each of them is working hard in the field of technology to establish a A goal worth pursuing.